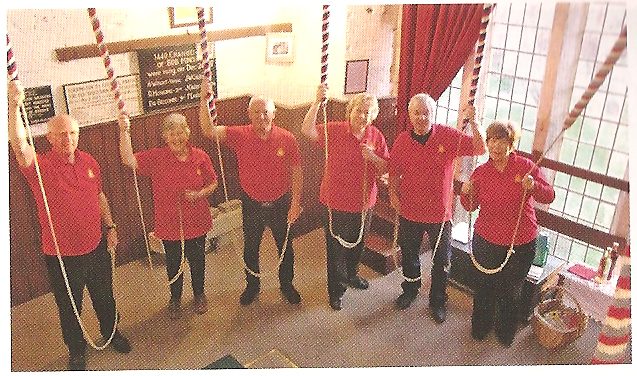 Welcome to the website for the Wisbech District of the Ely Diocesan Association of Church Bell Ringers. 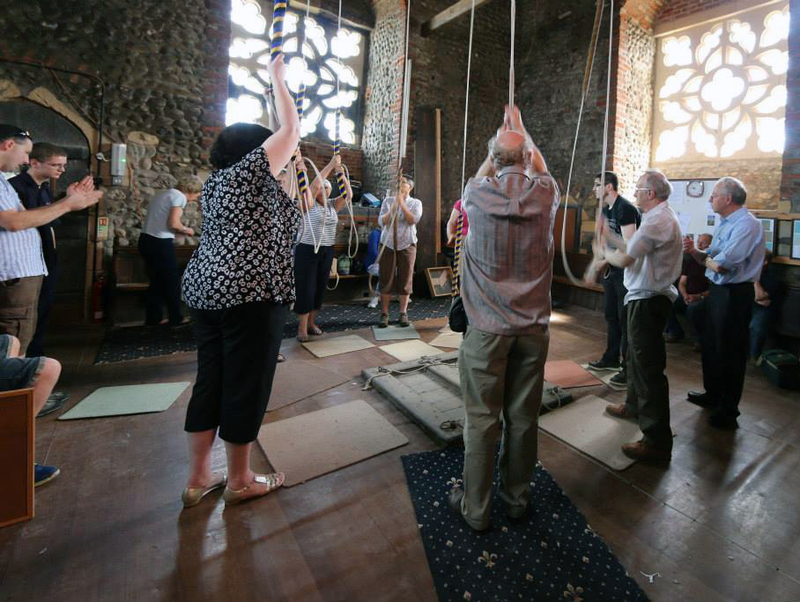 Bell ringing is a team activity that stimulates the brain and helps keep you fit ... it also makes a glorious sound! This website is primarily intended to keep local ringers informed of news and district events. We hope other ringers will find the details of towers, practice nights and the district ringing programme useful. 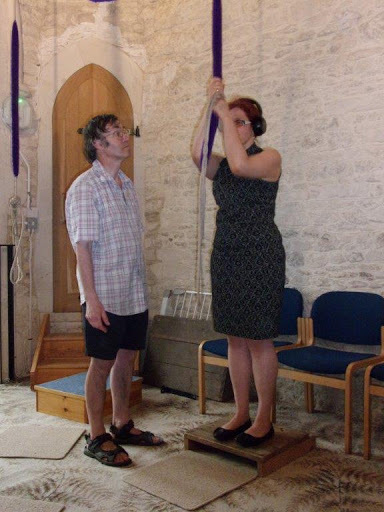 For an introduction to bell ringing, and how to learn to ring, click the bell. Here are dates for the District, the Association and the Stretham REC shown in a Google Calendar. A larger calendar, showing these dates and dates for all the Districts and for the Young Ringers, with space for more entries at a time, and with options to view a whole week or month, is available on the Ely DA website here. Use of a Google Calendar is experimental - comments or suggestions to the webmaster (elyweb_at_elyda.org.uk) please. For more dates see the District Ringing Programme. To receive emails about Wisbech District events, please contact the District Secretary (wisbechsec_at_elyda.org.uk). A nationwide Day of Commemorative Events is planned for Sunday 11th November 2018, marking the Centenary of the end of the First World War and paying tribute to the millions killed or wounded in battle, and those on the home front who struggled amidst pain and loss to help ensure freedom survived. To support this Day of Events, in the Ely DA, we intend to ring 100 rows (i.e. 100 blows from each bell) at as many of our towers as possible during the weekend 10-11th November. See the Armistice 100 pages for more details of the Commemorative Events, and ringing arranged so far at Ely DA towers. Use the Comments page to indicate details of ringing which is already arranged, request for more ringers at a tower or offer to help at a general time and place. I am delighted to announce that regular practice at St. Peter and St. Paul Wisbech resumes on Monday 5th March from 7.00pm to 8.30pm. All welcome! Please let me know if you are coming (07786935180 or martinslough_at_hotmail.com). Practice will be 1st and 3rd Mondays from 7.00pm to 8.30pm. Sunday service ringing will be 2nd and 4th Sunday from 9.15am to 9.45am starting on Mothering Sunday March 11th. Ten bell District ring will resume, bi-monthly, on 4th Monday of the month, starting March 26th. Well done to the organisers of 'Ring something Simple' at Watlington this afternoon, and particularly to Kirstie for running it. It was a very enjoyable occasion, with an attendance of 24, most of whom were learners and improvers. They all seemed to enjoy themselves and for some it was their first excursion to a tower other than 'home'. I hope the next session will be announced, as it seemed to be something that was wanted and will be supported. It was indeed a good result. The bells were always ringing with everybody knowing that they could ring pretty much everything that was called to be rung. This was a first try of something different for some time and I'm really encouraged with the support given to this initiative. There were (of course) some learning points about the organisation however these were probably not even seen by the attending ringers who were engaged in the event, the cakes, the quiz, the raffles and even the ringing!...while the sun shone we supported the local village open garden charity event - a win for all! Well done to Kirstie and Alan for the work put into this – Most appreciated! The Bishop of Ely rededicated the bells of St Mary's, Denver on Sunday 27th November 2016 at a service starting at 3 pm. The local ringers rang before the service, and all ringers in the Ely DA were invited to ring afterwards. This took place at Wisbech St Mary and was judged by Phillip and Sheila George. Many thanks to them and to the band at WSM for the welcome and for the delicious cakes. After a considerable amount of persuasion, three teams rang for the methods section and two in the novices section. Unfortunately, March (last year’s winners) were unable to defend their title as some of their band were committed elsewhere and at least one has moved on to university. However, three of the March ringers came to the meeting and formed the basis of a scratch band, which was highly commendable of them. I always hope that other towers will either enter a band of their own or come along to make up a scratch band for the fun of it. General comments made: not all the bands made good use of their practice time. The five minute practice is there for a reason and should be used to good effect. The judges had rung on the bells before the start of the competition and felt that the tenor was slow and the treble had its own personality. Less experienced ringers had to cope with both. The developing bands were recognised and given credit for their willingness to take part. Results were given in percentages. Thanks again to all who took part and appeared to be enjoying the experience. Perhaps they will spread the word and encourage more teams to take part next year. Not all the Ely DA districts are able to run a striking competition, so Wisbech District is to be congratulated. Thirteen people joined in the annual outing, including some welcome support from the Ely District. It was a pity some of the regular participants were unable to come, but we had an enjoyable day ringing at five towers which were new to most of the band. Thanks to Prue Lester and Anne Carpenter for their hard work in arranging the route and the towers. All Prue’s arrangements ran very smoothly. The pre-lunch towers were New Buckenham and Banham, two very different towers. The lovely easy going eight at New Buckenham were much appreciated and a good course of Grandsire Triples was a pleasure to ring. There was plenty of rounds and call changes, together with Plain Bob Doubles and three cover bells. This gave everyone a chance to ring several times on eight bells. Banham was very different. When we arrived it was a hive of industry with cleaning volunteers all over the place. The entrance to the ringing chamber is tucked away behind the organ and the chamber itself is obviously used as a repository for, among other things, a netball hoop and a walking frame. The bells aren’t rung as much and were more challenging, but a good selection of rounds, call changes, Plain Bob Doubles and Grandsire Doubles, with a plain course of Bob Minor, proved perfectly possible. I am sorry to report that Sid Drew of Denver died in April 2015. Here is an item about Sid written by Tony Stacey, a fellow Denver ringer, for the Denver church newsletter, and a photo of Sid and Mildred. It is sad to have to say goodbye to Sid Drew. 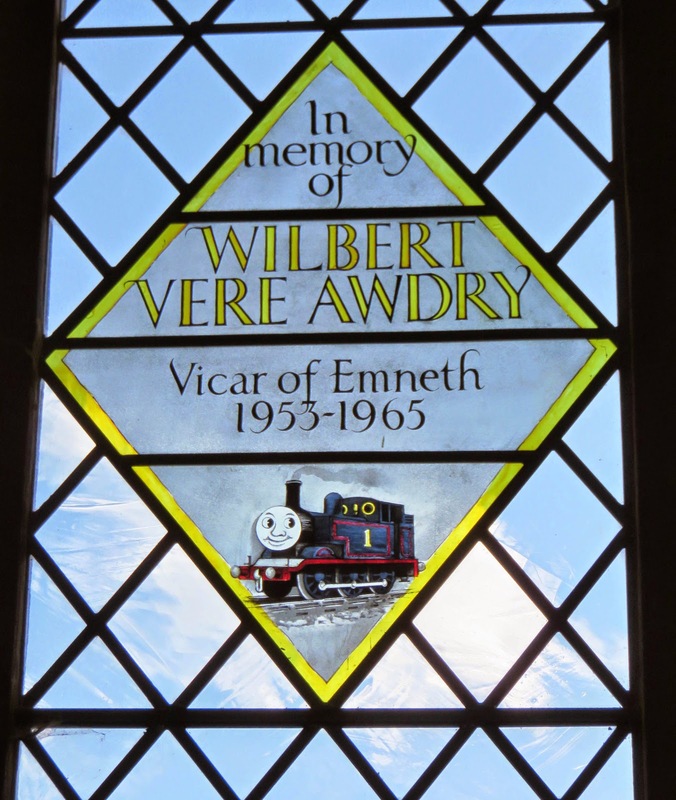 The church was his life for more years than most members of the congregation can remember and the support he gave to successive rectors cannot be measured. He has been a long term member of the PCC and served as churchwarden with distinction. So much so that the Archdeacon at the time, John Beer, appointed him Churchwarden Emeritus, a title of which Sid was rightly proud. Sid’s efforts at training bellringers and keeping the bells of St Mary’s ringing were reflected in the comments by the bellfounder who inspected them recently and declared them as neat a set of bells in a small tower as he had seen. Sid and Mildred formed a team which was the backbone of church life with Sid’s forthright, honest comments at meetings backed by Mildred’s prodigious memory and secretarial skills. We knew we could always turn to Sid for his wealth of knowledge about the church and village. Sid loved singing and was a founder member of the Denver Singers which gave so much pleasure to many organisations in the surrounding area. Sid was a very practical Christian and despite the fact that he has had to take more of a back seat for the past year or two as old age has crept up, he will be sadly missed by everyone who knew him. This was held at Denver, on Saturday 26th September. After last year, it was disappointing to see a reduction in the number of teams. Only one official team, Methwold, entered the novices section, although they were respectably challenged by the scratch team of District Ladies. In the method section, two teams battled it out and March beat Shouldham by 1½ points, thus guaranteeing a rematch next year. The judges were Alan and Marj Winter. A successful tower maintenance course was held at Watlington on Saturday 19th September. 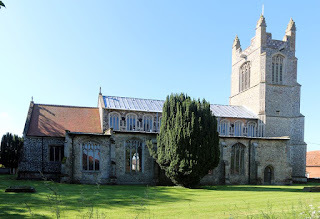 Tom Ridgman went through what he would inspect on a tower inspection and demonstrated this with a trip to the bell chamber at Watlington Church. Brian Hullah gave some basic lessons in short splicing, which the participants tried with varying success. There were nearly a dozen people on the course, including the two churchwardens from Watlington, and people came from Landbeach, March, Gaywood, Shouldham and Watlington. Thanks to Tom, Brian and the churchwardens at Watlington. The photo shows Tom and the Watlington bells - click on the photo to see a larger version. Have you been to Stretham yet? More specifically, have you made use of the excellent Ringing Education Centre housed at Stretham church? Ringers throughout the Ely Diocesan Association are very lucky to have such a facility for their use, so I hope I can persuade you to make the Wisbech District ringers a regular feature of the visitors' book. For those who haven't seen a set-up like Stretham before, the bells are linked to the computer so that they can be rung without a sound escaping from the church to disturb the neighbourhood. The sound you hear comes from the computer, so it's easier to hear your own bell. With help from Barbara Le Gallez, who runs the Centre, you are ready to go! I wanted to iron out handling faults in a calmer and less busy arena than a regular practice and I found it was in my best interests to start with rounds and plain hunt to doubles. Abel, the ringing program, provides visual clues, but it was much easier to listen to the bell without trying to follow a screen. I was really pleased to practise ringing the tenor behind to six, eight and ten bells without anything to guide me except my ears - a skill I'm always being exhorted to practise - and delighted to achieve at least partial success. I am very glad I went to see what it was all about and I hope to go again in the near future. Thanks to Barbara and to Anne, who very kindly came along to help me as well, I had a thoroughly enjoyable two hours of ringing time and hope to put the lessons to good use..
To find out more and check availability, contact the Acting Manager, Barbara Le Gallez (see http://www.elyda.org.uk/strethamrec for details). Don't leave it until everyone in the EDA is vying for time! On Saturday 18th April the local young ringers group joined in St Wendreda's church (with six bells) for a ringing session. Many learners new to ringing (me included) also came and despite sometimes catching the sally wrong – and sometimes missing entirely – everyone had fun and many very impressive rounds, peals and call changes were rung and even the adults struggled to keep up with some of us! Upstairs in the bell tower it was surprisingly crowded with young ringers (I had no idea that there were so many young people involved). 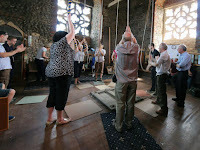 We started by letting the newer ringers practice on their own and some of the more experienced ones get used to the bells. Then we did simple rounds and call changes for ringers like me with a few adults filling in. Once we had finished that some of the more skilled young ringers began on more complicated method ringing. Whilst people a lot more skilled than me were ringing, some of the newer ringers and I went to see how a bell worked, by playing with a contraption that looked suspiciously like a bike wheel on some pipes (mainly because that's what it was). It was attached to a tiny sally and rope so that as you 'rang' it you could see the 'bell' on the wheel swing and learn how it all worked on a much smaller scale. After all the ringing on the large bells was done, we had a go on some of the handbells, which were nowhere near as simple as you might think: you had to swing them quite sharply to make any sound at all, and once you got going and could make a noise, you had to do it with a bell in each hand and four other bells in the same pattern that the large bells do. I really enjoyed playing on them and it was a skill I never thought I'd try to learn. 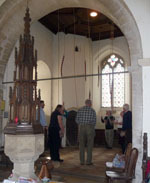 There is a photo of the group at St Wendreda's on the Young Ringers website, here. The Ely DA seminar 'How to Run a Successful Tower' was held at Swaffham Bulbeck on 30th May 2015. 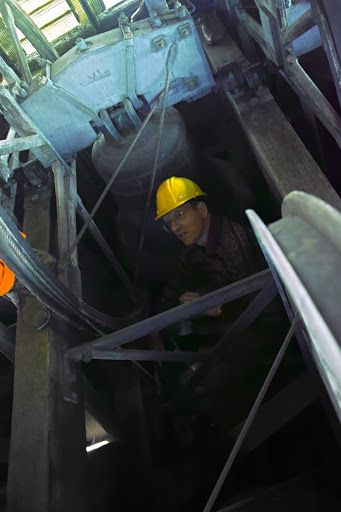 Successful towers are needed for bell ringing to have a sustainable future. We need to consider “what does ‘Successful’ mean?” for a tower. ‘Successful’ means different things to different people in differing situations which is a serious hurdle to overcome. Ringing institutions such as ITTS, ART, CCCBR and The Ringing World all try to embrace this issue by regularising their approaches towards their standards which many people baulk at for a variety of reasons. The rationale I use in this brief report will, of course, be my own as taken from my understanding of our group discussions kindly led by Mark Regan. Mark is the ringing master at Worcester Cathedral and the DAC advisor for Worcester. I would also like to thank Phil Bailey, Lesley Boyle and their support teams for providing a well run training event. Read the full report here. Four towers from the Wisbech District rang to celebrate the anniversary: Fincham rang on Friday afternoon, around the two minute silence. Shouldham (in the video ), Walsoken, Emneth and Methwold rang on Saturday and Wisbech were rung by a non-local band. From left to right we have - Christine Newman, Lee Newman, David Poore, Janice Dyke, Jeanette Cox and Barry Woodhouse. A personal perspective by an ITTS bell handling training participant (M1). A personal perspective by a bell handling training participant. At the Wisbech District ADM, held at Downham Market on 24th January 2015, the officers of the District were unchanged. There is one alteration to the other members of the committee, with Helen Greenleaves of March being elected in place of Andrew Davey. The ringing programme for the District was approved, details are here. Changes to the rules for the Novices section of the District striking competition were approved, these changes are intended to encourage wider participation in the competition. The resulting updated rules are here. Tom Ridgman presented Brian Hullah with a certificate to celebrate 50 year's membership of the Ely DA, and Brian was warmly congratulated by all present. Thanks to everyone who took part in the District striking competition. We had four teams in the method section and three in the novice section. All those who took part or came as supporters appeared to enjoy themselves and it was a worthwhile experience for all of us. The method section was won by Shouldham, with Methwold retaining the novice trophy, but it was quite a close run contest in both sections and next year should be even more interesting! Many thanks to the Walsoken ringers for their hospitality - one of the visitors commented on the welcoming atmosphere and the beautiful church - and for their ringers who were willing to fill in where needed. I hope next year you will have a team of your own. Thanks to the ringers who took part from March, Upwell and Watlington. The next meeting will be at Emneth on October 25th and it will be the first of the winter meetings, which start at 3 pm. Visitors always welcome. 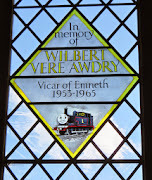 The six bells at St Wendreda, March are rung from a gallery with an excellent view of the famous angel roof. Here is a picture and some words by Tony Boughen. 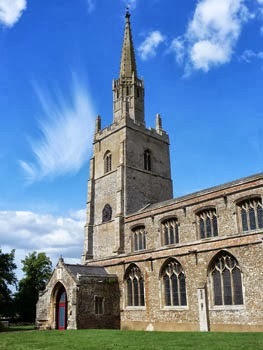 The church of St Wendreda in March, Cambridgeshire, is known to church architecture enthusiasts for its magnificent angel roof. 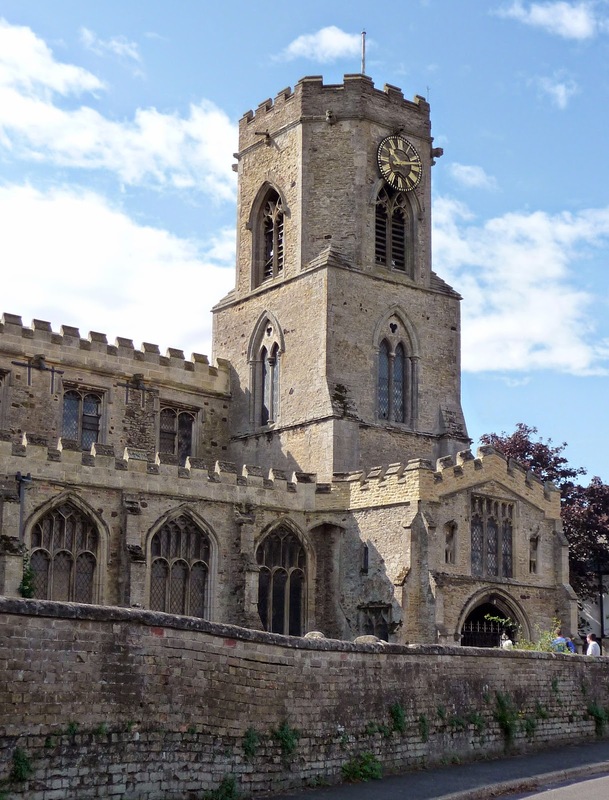 It is probably the best example in England and features 120 winged figures. The three tiers of angels, many holding musical instruments, make a marvellous sight peering down from the double hammerbeam roof. Sir John Betjeman, the late Poet Laureate and lover of churches said, "St Wendreda's church is worth cycling 40 miles in a headwind to see." He was right. This church has another unique attribute to set alongside its angels: the dedication to St Wendreda is the only one known. Wendreda (also known as Wyndred) was a Saxon princess, possibly a daughter of the seventh century King Anna of the East Angles, who had a palace at Exning in Suffolk. She was known for her healing powers and for helping others. After her parents' and brother's death Wendreda relocated to March and ministered to the people of the Fens. In 1343 her remains were returned to March. It is likely that the pilgrims who came to March in the hope of benefiting from the saint's healing powers, were part of the reason for the building of its remarkable roof. For updates, corrections or suggestions, contact the District Secretary (wisbechsec_at_elyda.org.uk). Or use the contact form here. Email addresses Many email addresses on this website are shown with _at_ instead of @ to protect against automatic scanning for addresses. Mobile devices This site is optimized for mobile devices, that is phones and tablets with Android >=2.2 or IOS>=3.